Head Varsity Baseball Coach, Lansing Catholic High School – 2003-2008. Assistant Baseball Coach, Alma College – 1999-2001. Assistant Baseball Coach, Eastern Michigan University – 1996-1999. 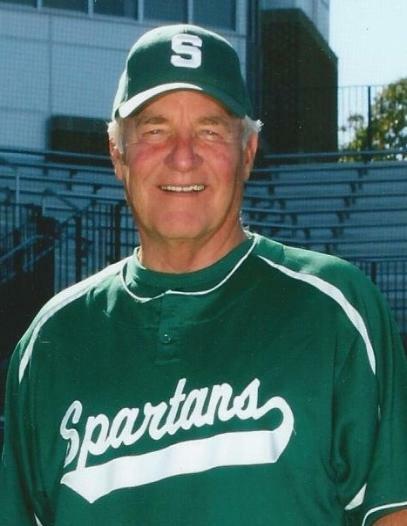 Head Varsity Baseball Coach, Lansing Everett High School – 1973-1996. Head Varsity Football Coach, Lansing Everett High School – 1980-1982. Inducted into the MHSBCA Hall of Fame – 1994. Capital Area Conference Coach of the Year – 1976,77, 1980,83,88, 1992,96, 2005,08. District Baseball Coach of the Year – 1982,86,87, 1992, 2002,03,04,05,06,08. Regional Baseball Coach of the Year – 1987, 2005, 2008. Coached 500+ Wins in High School Baseball – 1974-1996, 2002-2008.